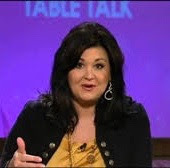 Joni Lamb is co-founder, vice-president, and executive producer of the Daystar Television Network, as well as the host of a couple of the network’s program, including “Joni Table Talk” and “Marcus and Joni” (with her husband Marcus). As you’d expect, Lamb is a wingnut fundie, of the kind who claims that the US is a Christian nation (laws that fail to favor Christianity over other religions accordingly amount to persecution of Christians), and that if you don’t understand this “you shouldn’t live here”. She also maintains that God “allowed” 9/11 to take place because the country’s sins “brought a crack into the foundation” and removed America’s “hedge of protection” (it apparently has to do with gays, too; Islamist extremists apparently just did God’s work in this particular instance). Lamb is, of course, virulently anti-gay, claiming that homosexuality is “ungodly” and “God cannot bless you and you cannot fulfill your destiny while you are operating within the realm of homosexuality;” indeed, homosexuality is a “trap that the Enemy has set”. As you’d expect from someone assuming those positions, Lamb is a champion of reparative therapy, claiming also that the “thousands” of people “who have come out of homosexuality” “may be the most discriminated people in the world today” (it’s simply a corollary of the deeply ingrained – and popular – conviction that Christians are persecuted in the US today). Diagnosis: Stock rabid fundie – nothing surprising there. But her TV shows do apparently have viewers, and she uses them to help promote the views of deranged conspiracy theorists, dominionists, hate groups and evil. Dangerous.